A few trips to Napa in the past few months had me exploring St. Helena, in the heart of Napa Valley. I shared my thoughts on where to eat, drink and sleep in St. Helena in California Winery Advisor and am re-sharing it here. In the center of Napa Valley is the town of St. Helena. Eighteen miles north of downtown Napa and ten miles south of Calistoga, St. Helena is known as Napa Valley’s Main Street. Packed with acclaimed wineries and home to more Michelin starred restaurants than anywhere else in Napa Valley, St. Helena embodies perfect wine country charm. Heading to Napa Valley for the weekend? Settle in and explore St. Helena. St. Helena is home to numerous accommodations ranging in price. If you want to splurge, check out the new Las Alcobas Napa Valley, a 68-room resort offering rooms with private terraces and an on-site spa, or the luxurious Meadowood Resort. But, for a more affordable, yet unpretentious, luxurious option, select the Harvest Inn (1 Main Street, St Helena). Situated on eight acres, the Harvest Inn was first built in 1975. The property is home to 320 redwood trees and artwork is scattered throughout the property. You can enjoy a self-guided art walk through the peaceful property, swim in one of the two pool or workout in the small gym. Harvest Inn has 78 updated rooms, some of which have fireplaces and hot tubs. The Vineyard View rooms overlook Whitehall Lane’s Leonardini Vineyard and other rooms have views of the lush gardens. The restaurant at Harvest Inn serves breakfast, lunch, and dinner and features menus that highlight locally sourced ingredients. Be sure to try the bacon at breakfast, a recipe created by Hector, the bellman at the Harvest Inn. The hotel hosts free wine tastings on Monday and Friday, is dog-friendly and offers complimentary car service to wineries within a three-mile radius. Add to that, Harvest Inn does not charge any resort fees. Harvest Inn really offers a great value for the price. St. Helena AVA encompasses 6,800 acres of vineyards and is located at the narrowest point between the Vaca and Mayacamas mountain ranges. A narrow corridor is formed where the cool evening bay fog travels up resulting in diurnal temperatures of hot days and cool nights. The micro-climate combined with the gravely volcanic loam soils results in high-quality red wine production and makes St. Helena one of the best winegrowing regions in Napa. With more than 170 wineries in St. Helena, here are nine that I recommend, both for the quality of wine as well as the experience. Charles Krug Winery was the first winery in Napa Valley, established in 1861. It has been owned by the Mondavi family since 1943 and today is run by the third and fourth generations. The tasting room is inside the beautiful, high-ceiling Redwood Cellar, a lounge space with a long tasting bar, as well as communal tables and couches, and a view of the barrel room housing hundreds of wine barrels. Enjoy a tasting of the wine in the Redwood Cellar ($45) or sign up for a tour and tasting ($75) where you can tour the property in addition to the tasting. If you get hungry, you can order a plate of Salumi di Casa, produced with Charles Krug wines and Journeyman Meat Co, from the Cucina Di Rosa Salumeria. Paying tribute to the family’s Italian heritage and their matriarch Rosa Mondavi, who loved cooking, Cucina Di Rosa also has an Outdoor Pizza Kitchen, open Thursday – Monday from May to October. Located in the northern pinch of the valley, on the west side of the river, Ehlers Estate is a 42-acre property that was purchased by Germans Bernard and Anna Ehler in 1885. Continuously producing wine since 1886, the Leducq family purchased the property in 1987. Having lost a child to cardiovascular disease, in 1996 the Leducqs started the Leducq Foundation, a Paris-based, cardio-vascular and neuro-vascular research center. One hundred percent of the winery’s profits go to the foundation which has received more than ½ billion dollars since its start. Ehlers Estate produces 8000 cases from estate fruit, 75 percent of which is Cabernet Sauvignon, as well as Cabernet Franc, Merlot, Petite Verdot and Sauvignon Blanc. A visit to the 132-year-old stone barn at Ehlers Estate is by appointment only between 9:30 am and 3:30 pm daily. Each visit is a personalized, intimate experience for groups no larger than eight, with a dedicated wine ambassador who will pour four wines for $35. Yes, the producer of the infamous big-buttery style of Chardonnay also produces Cabernet Sauvignon, Merlot, Sauvignon Blanc and Zinfandel. Rombauer has 500 acres planted and harvests 100 percent of the grapes by hand. While two-thirds of the production is Chardonnay, the small lots of red wines are worth a visit. Tastings at Rombauer are by appointment only. The Classic Tasting offers five wines, a mix of the best-known wines (Chardonnay) as well as limited-production and single-vineyard bottlings for $25. For $100, you will enjoy a flight of reserve wines after touring the property, including a tasting in the underground caves which are 1,900 linear feet. Family-owned and operated Joseph Phelps Vineyards was founded in 1973 by construction executive and entrepreneur Joseph Phelps who built the winery into the critically-acclaimed winery known internationally. Today, Joe’s son Bill Phelps, as well third generation family members Will Phelps and Elizabeth Neuman run the winery. In addition to delicious wines, a visit to Joseph Phelps Vineyards is an experience. A personalized, seated tasting on the terrace with a Wine Educator guide ($75) is enjoyable but what is really fun is to play winemaker for the day and to do an Insignia Blending ($100). You will begin with six Insignia components and then make your own blend, which you can compare with the current Insignia vintage. Other experiences include a Single Vineyard tasting ($100) where you can discover the intersection of soil, microclimate, exposure and varietal selection or Barrel Ageing Napa Valley Cabernet Sauvignon ($100) tasting where you study the role of oak barrels. They also offer a Wine Aroma Challenge ($100) and an Insignia Retrospective Tasting ($250). Or enhance your wine experience with a food pairing. Joseph Phelps Vineyards added a commercial kitchen in 2014 during a remodel and offers a Wine & Cheese Pairing ($125), a full multi-course lunch with the Bountiful Table ($275) or a unique interactive food and wine pairing experience with “Playful Plates” ($195) where Winery Executive Chef Brian Sutton creates seasonally inspired plates to contrast and complement the wines. Crocker & Starr offers three experiences. The Farmhouse Porch Experience ($35) is an intimate tasting and conversation on the porch of their 1918 restored farmhouse adjacent to the Crocker Starr vineyards. The personalized Vineyard Experience ($45) starts with a sip of Sauvignon Blanc on the porch of the farmhouse, followed by a stroll into the vineyard for the rare opportunity to see and touch the organically grown vines and grapes. The tasting then takes place in the Garden Arbor or Stone House. Crocker & Starr also offers an Al Fresco Experience in which the wines are paired with artisan cheese and charcuterie. AxR is a new winery named after the AxR rootstock. This rootstock was resistant to Phylloxera for 35-40 years and it was the prominent rootstock used in building the modern California wine industry. While AxR is new, the property has quite a history. The property was first opened by August and Frederika Hirsch in 1883 who sold it to a financier in 1896 who went bankrupt in 1904. It was then owned by the St. Helena bank until a French couple bought it in 1906 for a saloon and also built small cottages on the property in 1910. During Prohibition this was a resort/speakeasy and by 1922 it was one of the most expensive brothels in Napa. Post-prohibition, in 1933, it became a resort again. Then in 2001, the property became V Madrone Winery, with their first vintage in 2005 and a tasting room that opened in 2008. In 2017, AxR founders Kelly Trevethan, Mark Schratz and Don Van Laeken, as well as consulting winemaker Jean Hoefliger took over. The property was remodeled and re-opened in February 2018. The new space is modern and comfortable with warm grey colors and is like being at a friend’s house. You will be met at your car with a glass of wine and then enjoy a walking tour as you learn about the history of the property tasting wines along the way. By appointment only, tastings are private, lasting 90 minutes, and include tastings of both V Madrone and Axr wines ($50). Long Meadow Ranch, owned by Ted Laddie and Chris Hall, is an organic, sustainable, integrated farming system that includes vineyards, olive groves, and Highland Cattle. With three estates, Long Meadow Ranch has more than 150 planted acres, all farmed using organic practices. In St. Helena, Long Meadow Ranch’s Farmstead is a place for community and a place where you can have coffee, lunch and dinner, where you can taste wines, olive oils and whiskeys or you can shop. There is an American farmhouse restaurant, an outdoor café and the general store in the historic 1874 home of Logan Ives. Inside the general store is the tasting bar where wine flights, as well as olive oil flights and whiskey flights, are available. When you are finished tasting, you can shop for wines, olive oils and other seasonal provisions made locally to take home. A more intriguing wine tasting is the Chef’s Food & Wine Tasting ($70) with five wines paired with five canapes. Spring Mountain Vineyard sits on Spring Mountain and consists of what was once three separate properties that makeup 1000 acres, 25 percent of which are planted to vineyards. These mountain vineyards located on the slopes of the Mayacamas Mountain range are where Cabernet Sauvignon was first planted on the mountain in 1873. The three properties, all established in the 1800s, came under one umbrella between 1993-1996. The vineyards lie at 400-1600 feet of elevation and produce age-worthy, structured Bordeaux-style wines. Tastings are by appointment only and take place in the greenhouse garden surrounded by olive trees and roses. The Tasting Only ($40) includes four wines but with more time, the Estate Tasting ($75), Library Vertical Tasting ($100) and Explore Elivette Tasting ($200) include more a comprehensive look at the vineyards, winery and historic caves. Founded in 1971 by brothers Stuart and Charles Smith, Smith-Madrone is located on Spring Mountain at elevations between 1,300 and 2,000 feet. The property, an abandoned vineyard, was a densely forested property that the Smith’s logged and planted. Today the vineyard consists of 34 acres which are dry-farmed. The primary plantings are Chardonnay, Cabernet Sauvignon, and Riesling, as well as small amount of Cabernet Franc and Merlot producing a total of 3,000 cases annually. Smith-Madrone is open for tours and tastings by appointment only on Monday, Wednesday, Friday and Saturday and costs $25. The setting is informal and you will be in the middle of a working winery but what is especially unique is that all tours and tastings are conducted by one of the members of the Smith family. After a long day of wine tasting, the next question is where to eat. 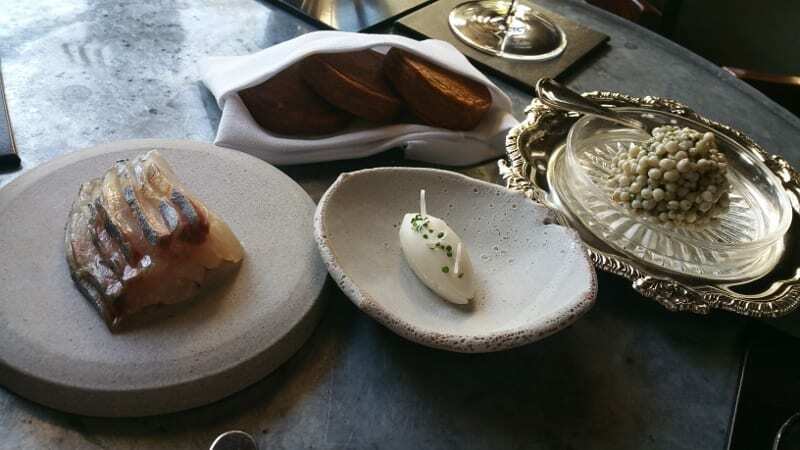 St Helena offers some of the best dining in Napa Valley and here are five favorites. Farmstead at Long Meadow Ranch is a “farm to table” restaurant offering a rustic American menu with ingredients fresh from the farm. It has a relaxed and casual vibe with delicious comfort food. The wine list showcases wines from throughout Napa and Sonoma, as well as international wines. But if you bring in your own bottles, corkage is only $5 and all of the money raised from corkage goes to local charities. Gott’s may have locations in San Francisco, Palo Alto, Marin, Downtown Napa and the San Francisco International Airport but it is the original location on Main Street in St. Helena which is preferred. A roadside favorite since 1999, you stand in line for your order and then grab a seat. It is hard to choose between the burgers, fish tacos, soups, salads and fries but you can wash it all down with a milkshake hand-spun with organic ice cream and milk or with a glass of wine from the legitimate selection. Meadowood Napa Valley is a luxury resort and The Restaurant at Meadowood is a Michelin 3-Star restaurant specializing in local, sustainable California cuisine. If your wallet is not ready for a full dining experience at The Restaurant, which will cost $330-$500 before drinks, try The Bar at The Restaurant at Meadowood. Here there is a three-course bar menu for $90 or enjoy the Snack Tasting Menu. It may not fill you up, but for $40, you will enjoy a 9-course tasting menu. Each bite is small but it is a little taste of what you might enjoy if you were sitting in the restaurant paying much more. Goose & Gander is a lively public house located in Walter Martini’s historic 1920 bungalow. Rustic American food, wine and cocktails can be enjoyed in the dining room and garden. The G&G Burger, made with grass-fed beef, Gruyere, bacon, remoulade and Manhattan pickle and served with duck fat fries is a must. I like to enjoy my burger in the Basement Bar where there is a 30-plus item cocktail menu. After a long day of wine drinking, you can find the best cocktails in St. Helena at Goose & Gander. Read the original story in California Winery Advisor. This entry was posted in Cocktails, Food, Lifestyle, Travel, Wine and tagged AXR Napa Valley, California Winery Advisor, Charles Krug Winery, Crocker and Starr, Ehlers Estate, Farmstead at Long Meadow Ranch, food, Goose & Gander, Harvest Inn, Joseph Phelps, Long Meadow Ranch, Napa Valley, Rombauer, Smith Madrone, Spring Mountain Vineyard, St. Helena, The Bar at The Restaurant at Meadowood, The Charter Oak, The Restaurant at Meadowood, Travel, Wine, wine tasting by Allison Levine.